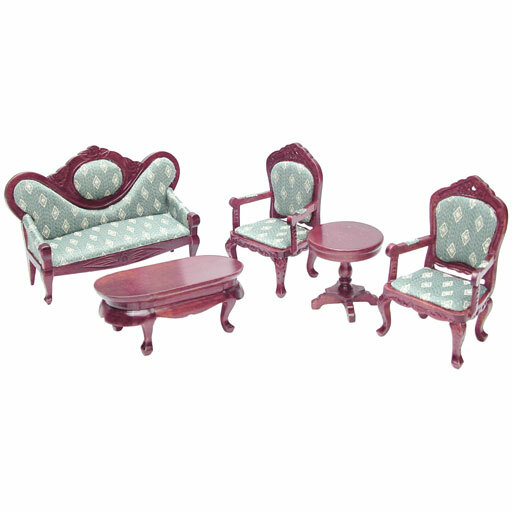 This 18th century wooden parlor set is rich with detail and nicely upholstered. The fabric may vary slightly. 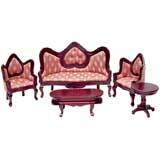 This a beautiful set in my front parlor. 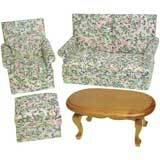 The color of the wood with the green fabric, is very rich looking. Excellent product. 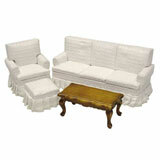 This set the one of my parlor. Well made, great color.